It’s no secret that LA Times food critic Jonathan Gold loves Sichuanese cuisine, particularly that of the city of Chengdu. But this week, he’s breaking down a different kind of Sichuanese food that makes his mouth burn and smile at the same time: Chongqing-Sichuan cuisine. 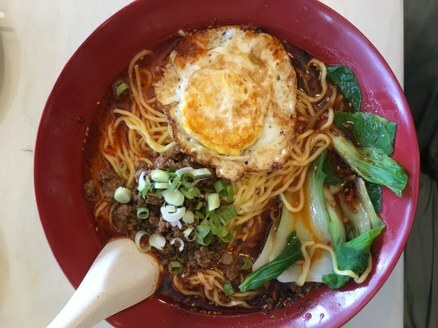 The former chef at Best Noodle House in Rosemead left to create the San Gabriel establishment Chongqing Special Noodles. His pulled noodles come in a variety of widths and shapes, but many dishes share a vibrant red color and adventurous spice level. Pro-tip from Gold as well as all the panelists from last month’s Sichuan Summit: always order the twice-cooked pork. (if you aren’t a fan of Sichuan peppercorns). Photo by Nick Liao.